In the Old World, most wines are classic blends of different grapes. There are baseline proportions, but the wine maker will adjust the exact amount of each grape based on the characteristics of the harvest each year (with the purpose of maintaining balance and expressing the character of the local weather and soil conditions – the terroir). Wines are labeled based on the region where it is produced, following the classic local blend. For example, Bordeaux is a region in the Southwest of France producing both white and red wines. 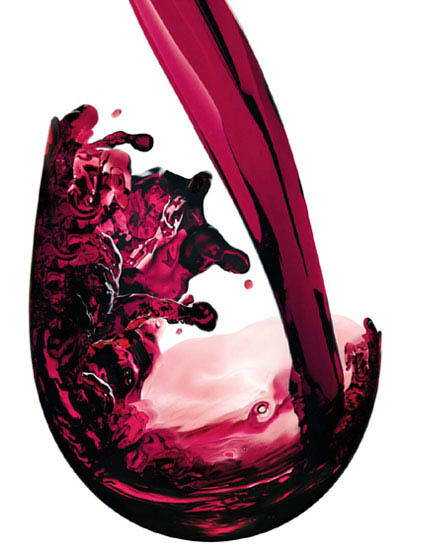 Red wines are produced as a blend of Cabernet Sauvignon, Merlot and Cabernet Franc grapes (sometimes with the addition of a small proportion of Malbec and Carmenere). Rioja is a region in Northern Spain. The Red Riojas are made mostly of Tempranillo (60%) and Granacha (20%), with smaller proportions of Graciano and Mazuelo grapes. The better climate conditions in the wine producing regions of the New World allow wine makers to produce wines from a single grape varietal (searching to maximize the potential and express the character of the grape and the region). Accordingly, wines are labelled based on the varietal and region (Napa Valley Cabernet Sauvignon, Russian River Pinot Noir, etc). So, California is generally known for its Cabernet Sauvignon. The Santa Cruz Mountains leverages the local micro-climate to product great Pinot Noirs. Australia wine regions produce lots of Shiraz. Some grapes that were originally used in Europe only as a minor component of classic blends have been expressed in single-varietals in the New World. Argentina produces world class Malbecs and Chile produces Carmenere, for example. When blends are produced outside the traditional regions in Europe, they cannot carry the original region name, which are protected by a international regulatory system. In the US, wines must contain at least 75% of a grape to be labeled as that varietal, so Bordeaux-like blends do not qualify as a varietal and there was growing frustration among wine makers with a generic “red wine” label. So in 1988, the Meritage association was created to manage a newly created trademark to designate those blends made from grapes traditional from Bordeaux in California (membership has since grown to include some other international wines).